Flash the Dog is coming ! This forthcoming title is a follow up to Topsy the Cat. This time the story is based on Flash. Flash is our family dog. He’s a whippet we adopted from the RSPCA in Burwood Victoria. Flash is a gentle giant and quickly became a beloved member of our family. We couldn’t imagine life without him. Flash was very anxious when we first met him. We don’t really know his history, but whatever the case was, it left him nervous and shy. Flash was on medication to help him be calm and cope with the change of life. He no longer takes medication and has become a very confident and loving doggy. 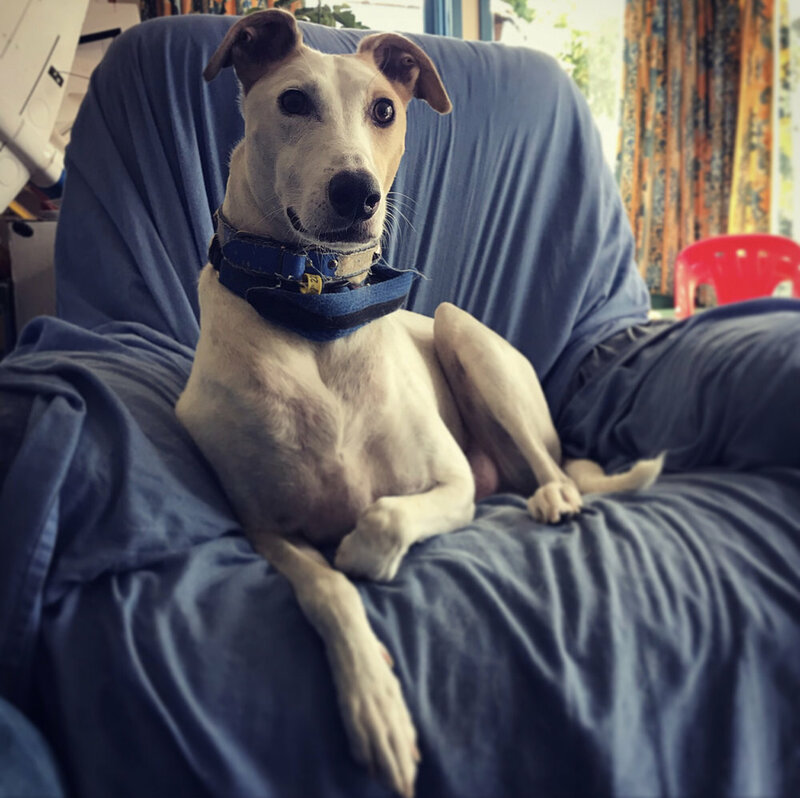 Flash loves running around in the yard, going for walks, going for car rides, sneaking a cheeky biscuit or two when we have a cup of tea, stealing dinner left to defrost on the kitchen bench, chewing on dried pig ear snacks, and sniffing his cat friends. Most of all, Flash loves cuddling up with us, his human friends. If you do the dishes, Flash is there lying right on your feet next to the kitchen sink cupboard. Having lunch? Flash is there lying on your feet under the table. Watching a movie? Flash is there sitting right next to you - or on your lap. We all love Flash and he loves us too. And as much as it is sad that he was put up for adoption, we are so glad we have the chance to be his new forever family. As part of our gratitude for Flash and the work that the RSPCA does with their animal rescue and rehabilitation work, $1 from the sale of each copy of Flash the Dog will be donated to the RSPCA in Burwood.